Being a theme park fan, in my humble opinion, Disneyland’s Haunted Mansion is the gold standard in dark rides found anywhere in the world. Sure, there are more high tech rides that can do some incredible things, but the Haunted Mansion raised the bar in what an attraction could be and still holds up over 45 years later as one of the best attractions in the world. Personally, I have studied the Mansion and its history, legends and folklore ever since I was a kid. I’ve read every book, newspaper article, seen every television special and even personally talked with many Disney legends who designed it, from Marc Davis to X Atencio. 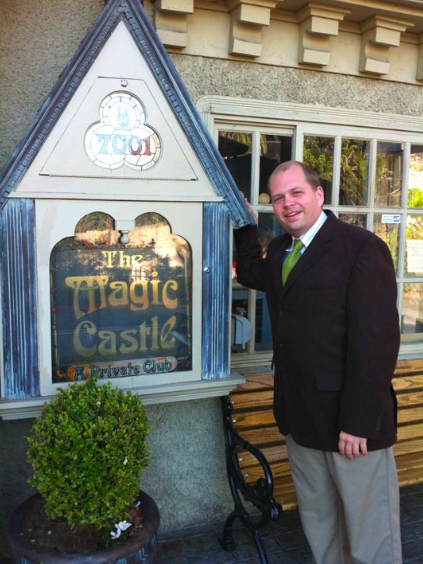 I thought I had seen and heard all there is to know until I got a chance to visit the Magic Castle in Hollywood. 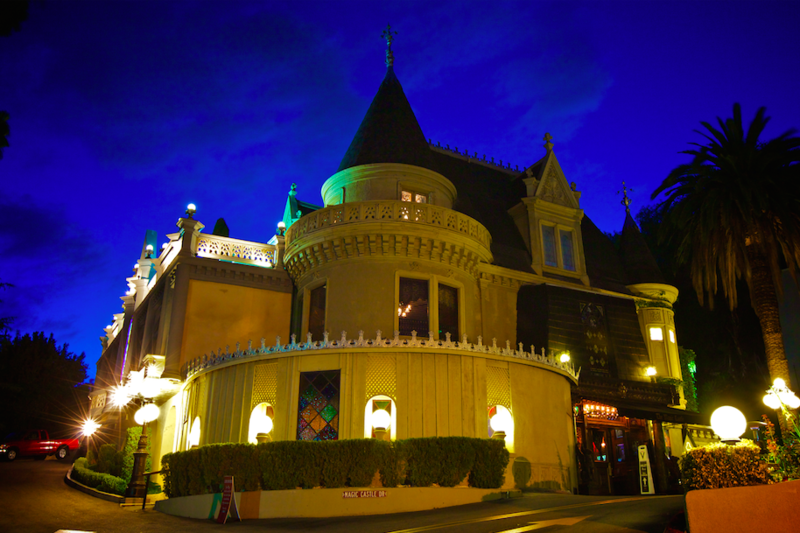 The Magic Castle remains one of the most exclusive and incredible private clubs in the world. Members include magicians such as Penn & Teller, Siegfried & Roy, Lance Burton and even David Blaine. It’s hosted all kinds of celebrities over the years that have also performed at the Castle, from Tony Curtis to Johnny Carson and even Cary Grant. 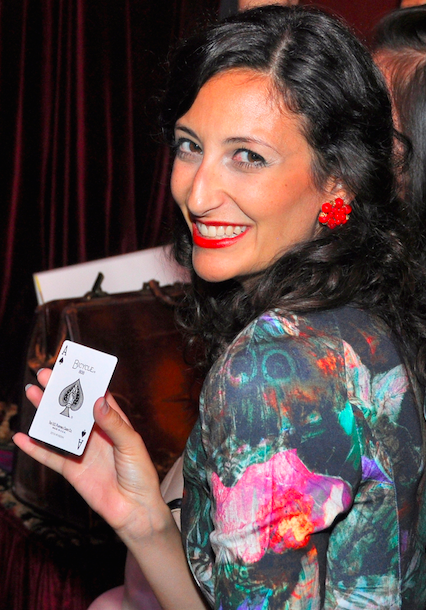 Celebrities who are magic enthusiasts often visit the club, thanks in part to its elegant setting and strict no photography rule. You can see celebs there all the time from Drew Barrymore, Sarah Silverman, Johnny Depp, Tim Allen and Hugh Heffner and many, many more. As incredible as all the Hollywood history is to see, none of it compares to a tribute to Disney’s Haunted Mansion and Imagineer Yale Gracey. Located just a few steps away from the Hat and Hare pub, downstairs from the larger showrooms lies a small diorama built into the wall. Disney fans will notice a replica of the Haunted Mansion plaque located on the wall and a red button located just next to it. Once guests press the button, it activates the diorama and brings it to life. 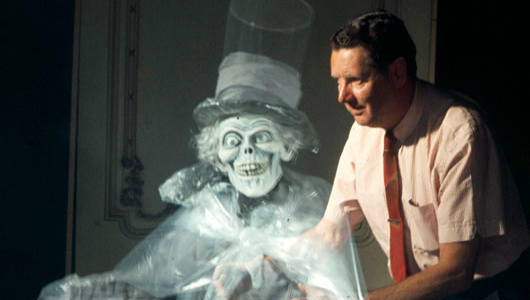 It’s a very simple (and tiny) version of the peppers ghost effect found in the ballroom of the Haunted Mansion. 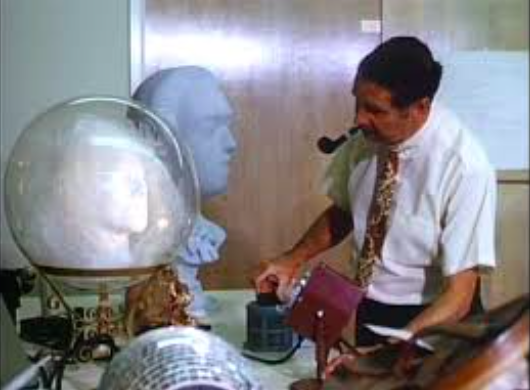 Yale Gracey built this while he was working for WED Enterprises (now known as Disney Imagineering) as a model to convince Walt that he could build illusions in the Haunted Mansion and it ultimately convinced Walt to move forward with the project. The model is a miniature version of a living room one might find in a haunted house complete with a grand fireplace, oversized portraits, hardwood floors and furniture. 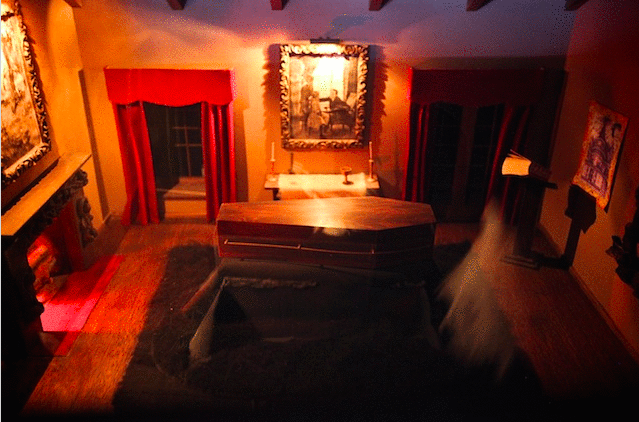 In the center of the room lies a coffin where every few seconds a ghost pops out, in the form of a refracted image from a real figure out of guest’s sight. In addition, a bride in her gown runs around the coffin through one window and right back in the other as if she’s passing through the walls. 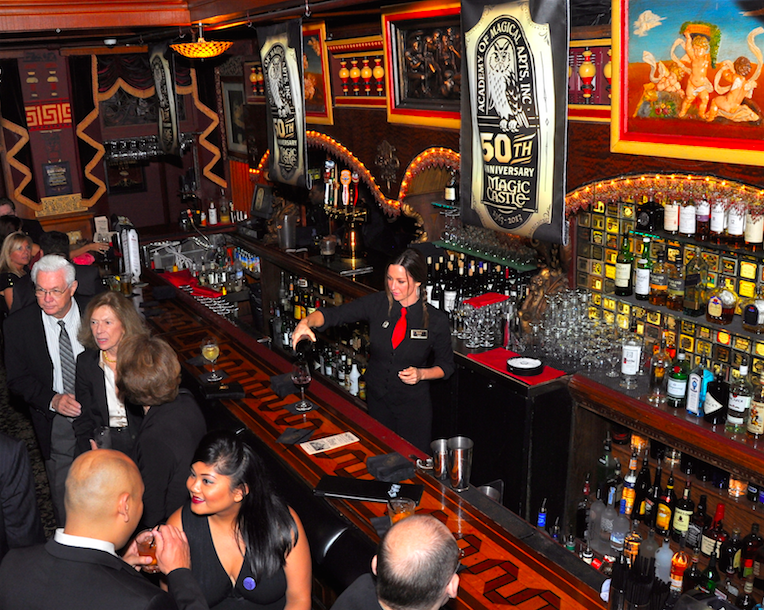 If you ever run across a member of The Magic Castle who can get you an invite, jump at the chance. It’s not open to the public; therefore you can’t just make a reservation and go. 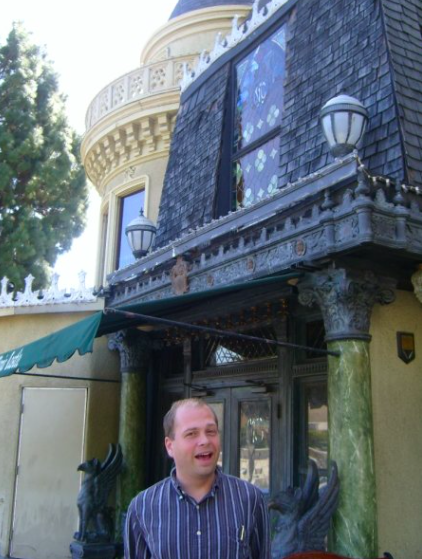 If you’re a theme park fan and need to soak in absolutely everything, you need to see this amazing piece of history most Haunted Mansion fans don’t even know exists. Many thanks to The Magic Castle for these exclusive images they shared with Theme Park University of Yale Gracey’s model. 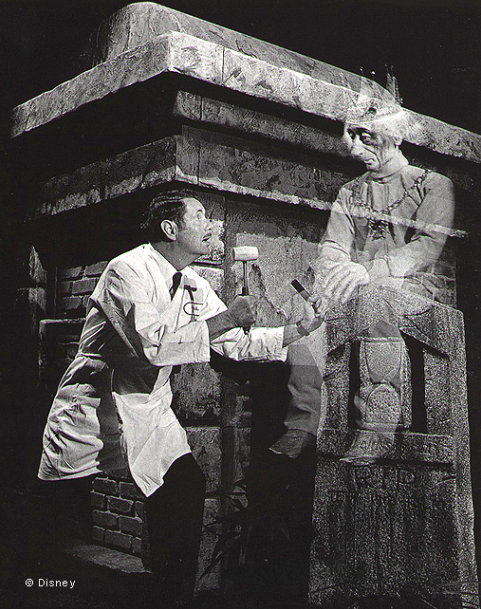 This entry was posted in Attractions, Disney, Outside The Parks and tagged Diorama, Hat and Hare Pub, Haunted Mansion, Magic Castle, Master Gracey, Milt Larsen, Model, Yale Gracey. Bookmark the permalink. Trackbacks are closed, but you can post a comment.